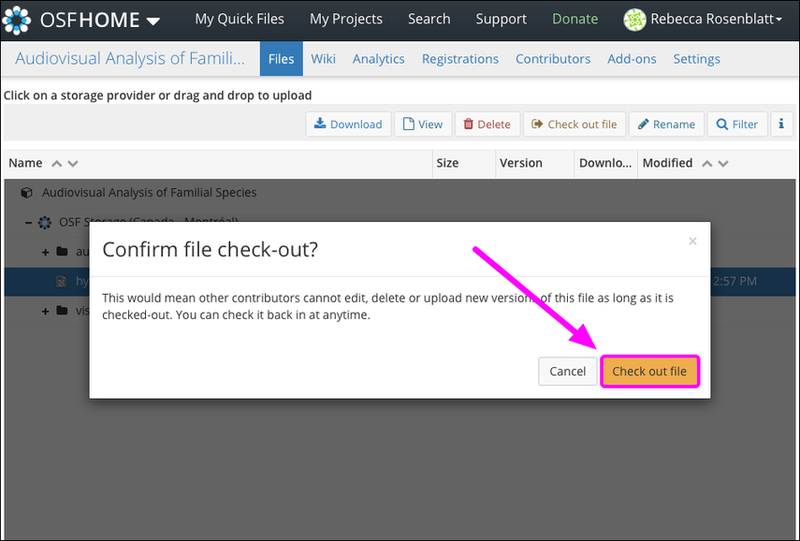 The checkout feature prevents multiple contributors from editing a file at once. Admin or read+write permissions are required to check out files. 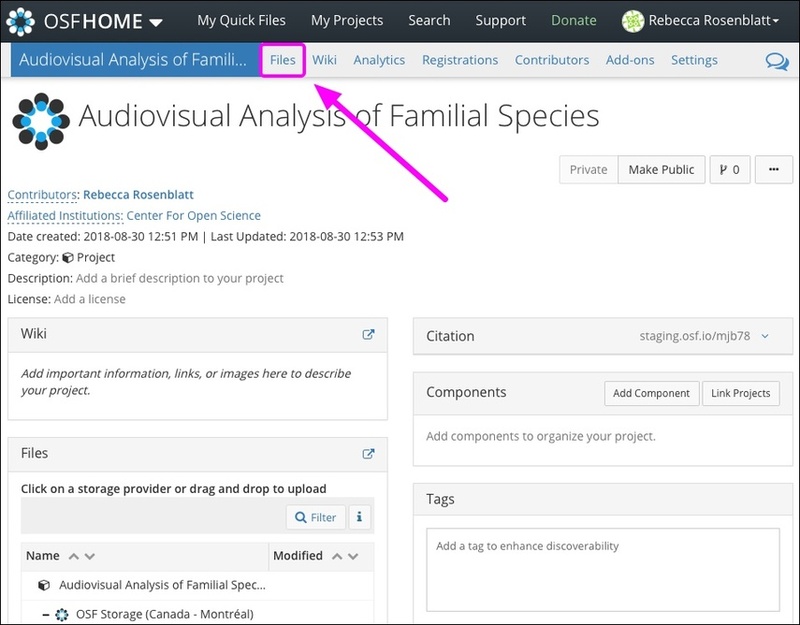 Open your project, then click the Files tab in the navigation bar. The "Files" page will appear. 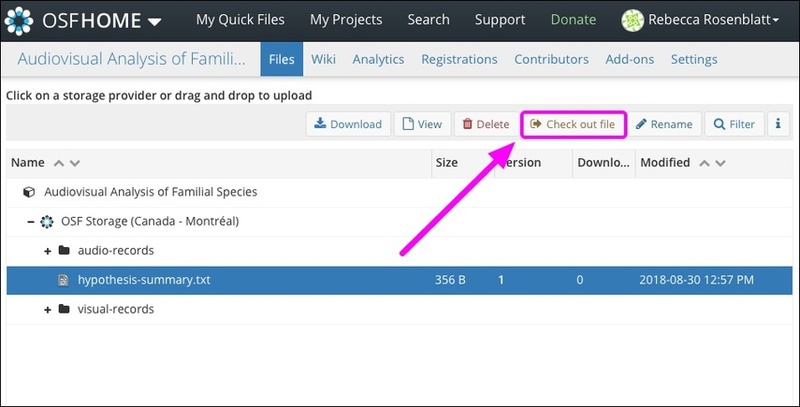 Click next to the file you want to check out, then click the Check out file button in the toolbar. Click the Check out file button. The file will be checked out to you. 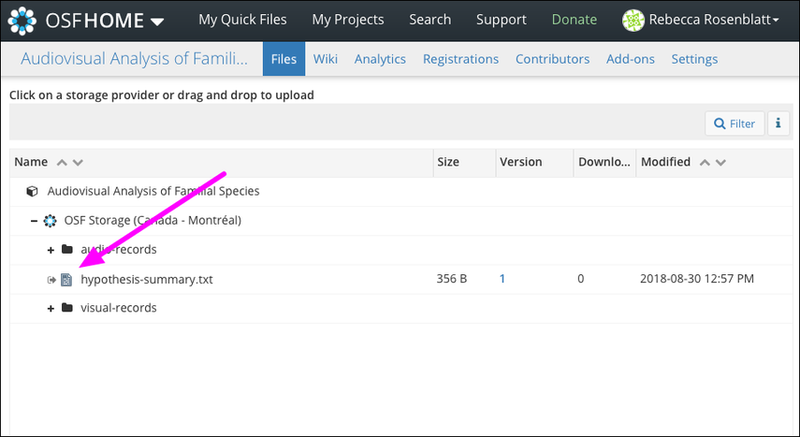 Click next to the file, then click the Check in file button in the toolbar. 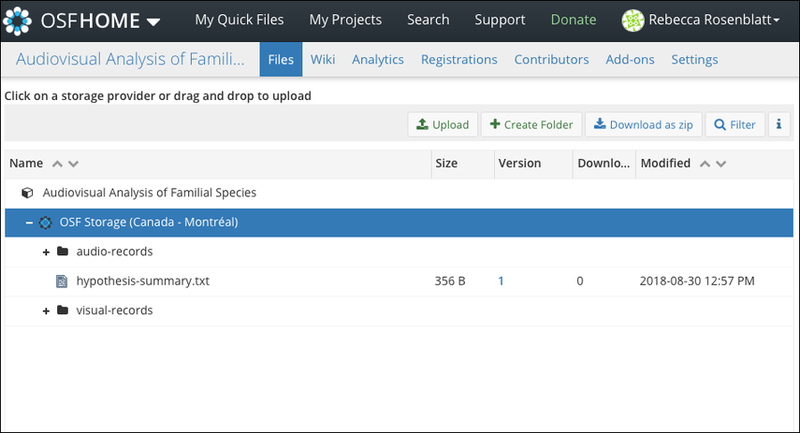 The file will return to its default state, becoming editable by contributors with admin or read+write permissions.